Whitman, Mass: the only small town First Night in the area! 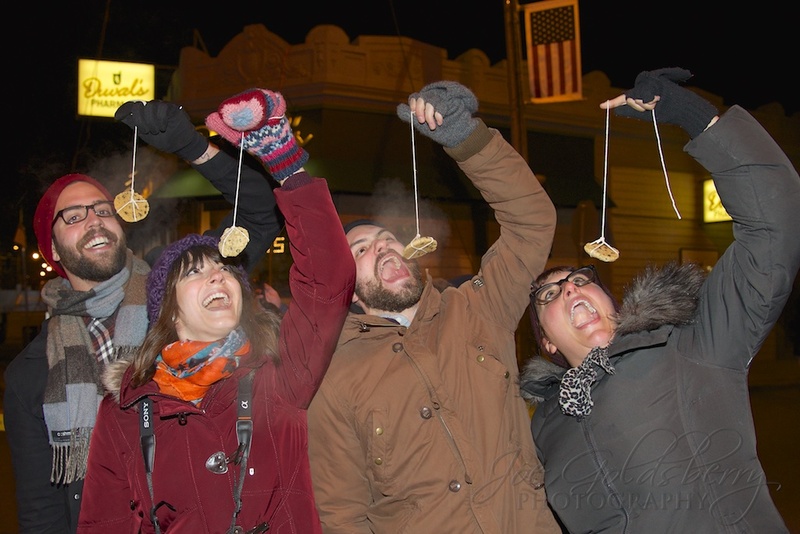 The small South Shore town of Whitman, Mass has done it again: hundreds gathered in the town center to ring in the new year with a giant Toll House Cookie drop at midnight, followed by fireworks. 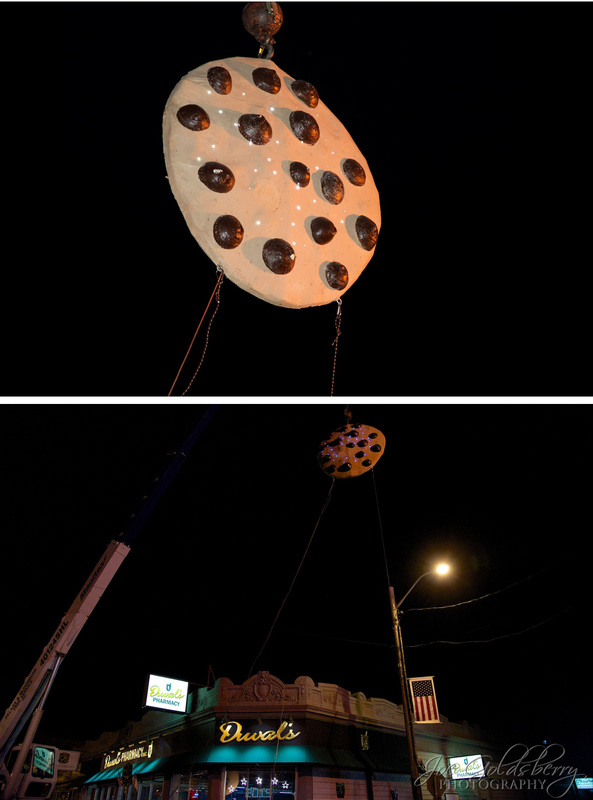 The streets downtown were closed down at 7:00pm and the six foot cookie was hoisted into place with a giant crane, high above Duval’s Pharmacy. Up in the sky! It’s a bird! It’s a plane! It’s a six foot cookie! Big Daddy Ray was your emcee for the night, on hand to keep everyone moving around and warm before the midnight countdown. 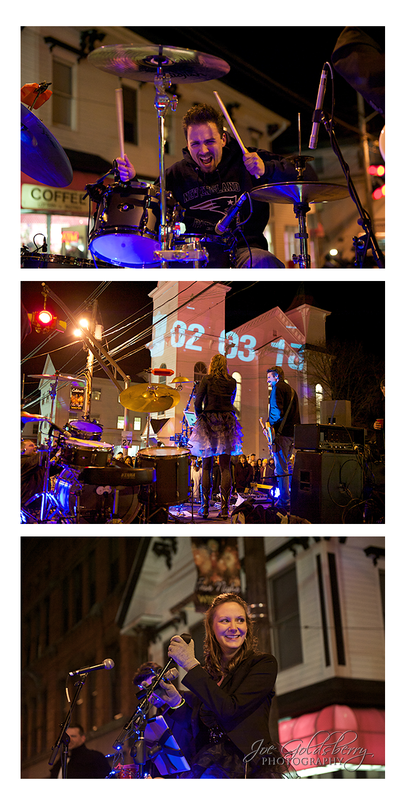 This year’s band, Divas With a Twist, also helped to keep the crowd hopping to warmth until the cookie came down. Divas With a Twist spread lots of holiday day cheer in Whitman center on New Years Eve! Billed as a night of family friendly fun, we were happy to see the kids representing. They were dancing (and sitting) in the street. and dancin’ in the streets. Not just family friendly, but four-legged friend friendly, as well!! Can we get a “woof woof”? 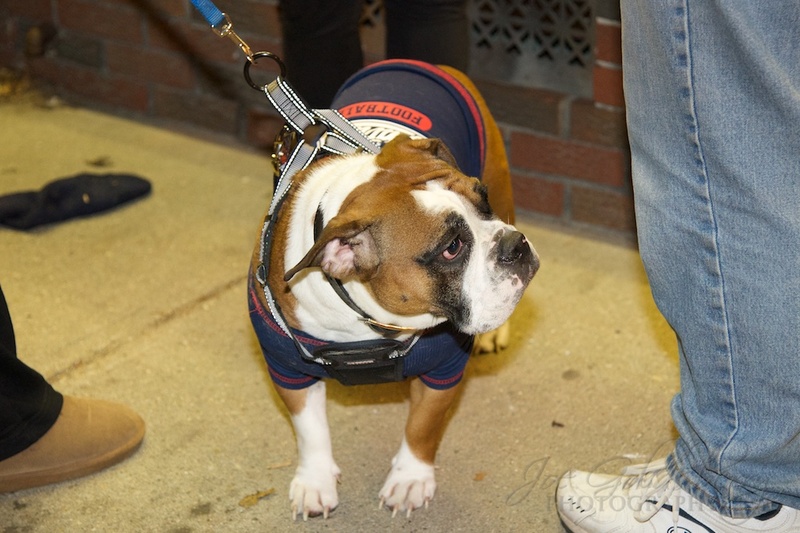 This guy could have been the First Night Whitman mascot! People also brought their own fun! Here we see some people who created their own “cookie drop”, scaled down, of course. Not every cookie drop involved a 6 foot cookie! The night started out slow but well by midnight hundreds were gathered to see Divas With a Twists‘ final set, which led us to Big Daddy Ray going from “Jump Around” to “Let’s Go Crazy”. 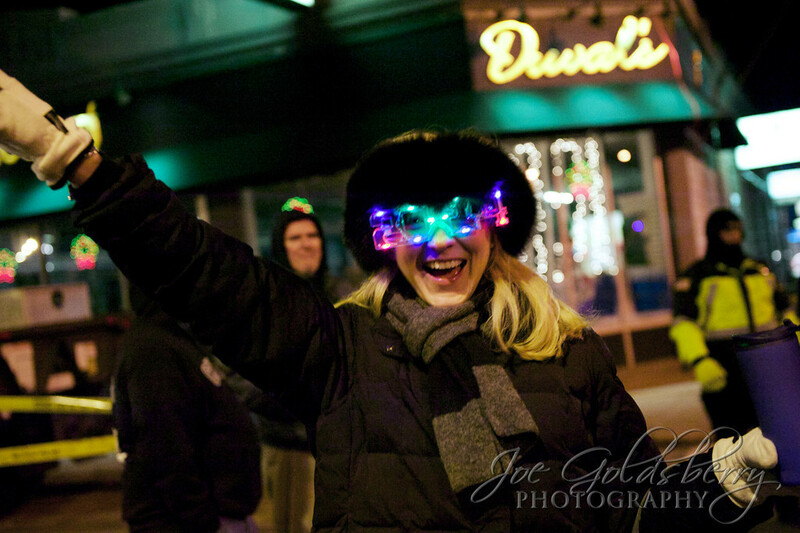 Dancing, smiling, and waiting… 2015 is right around the corner. 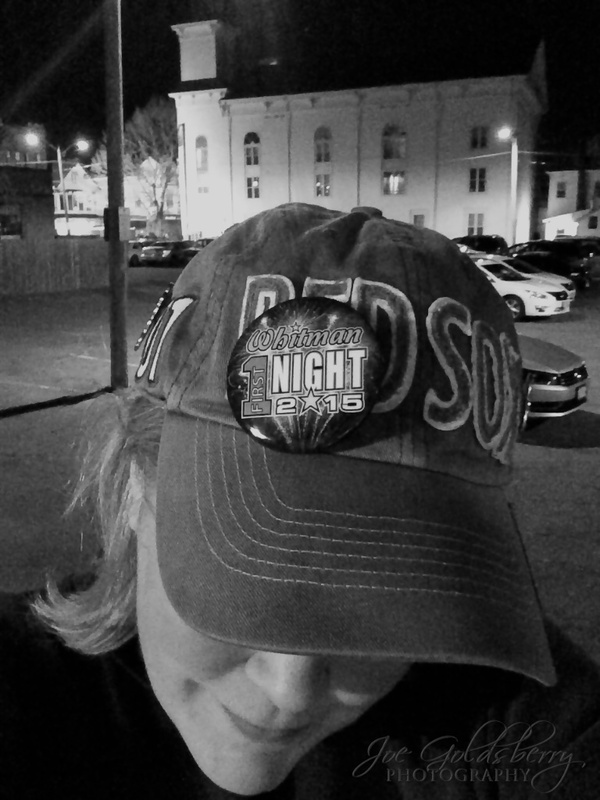 Yours truly, your blog author, sporting the 2015 First Night Whitman button, with all proceeds going to the Whitman Food Pantry. 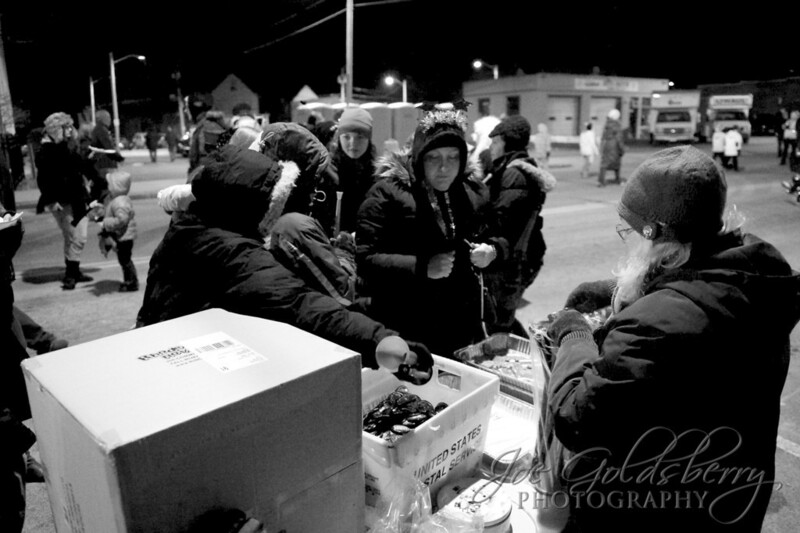 All proceeds for the First Night Whitman buttons help support our town’s food pantry. And the clock strikes midnight! Should times long past be forgot (days of auld lang syne). This is what it’s all about: a ten second countdown, cookie drops and fireworks commence! The roof of Duval’s Pharmacy sets the stage for the pyrotechnics when the clock strikes midnight. 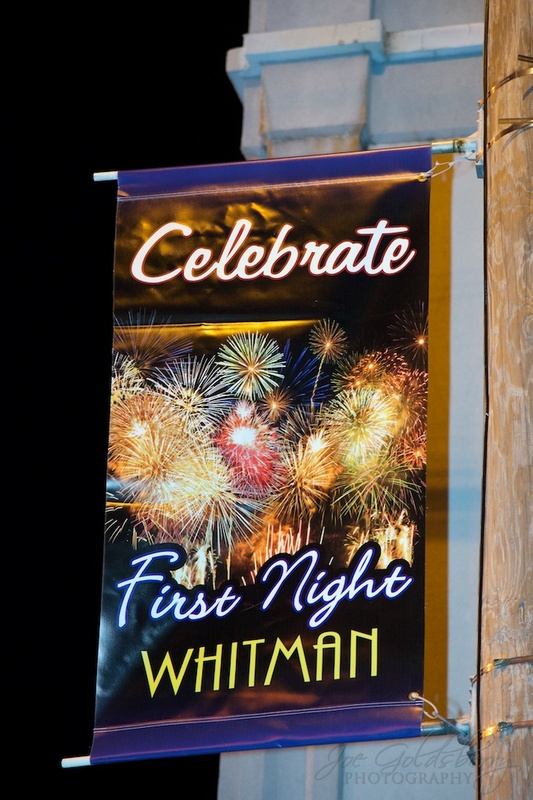 Special thanks to the First Night Whitman committee for all their hard work in bringing this together, as well as bringing so many citizens of a great little town together. More thanks and kudos to the Whitman Police Dept and the Whitman Fire Dept as always, for keeping our town safe. 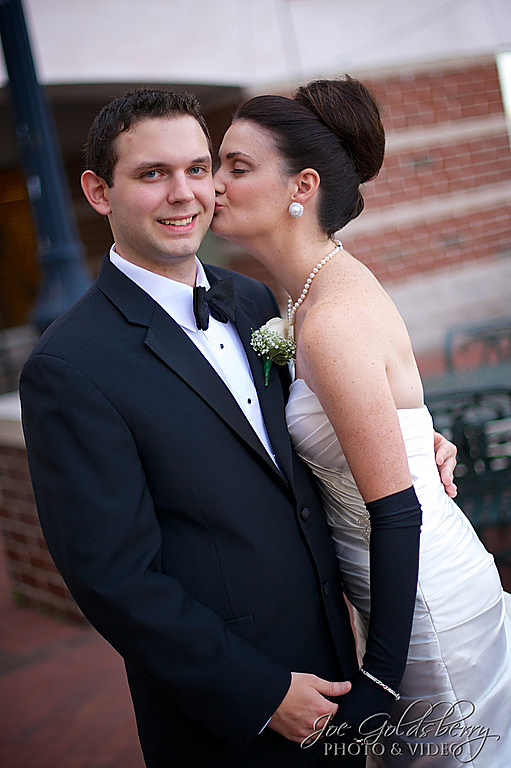 Going through Laura & John’s wedding photos to write this blog post, all I can say is “wow”! 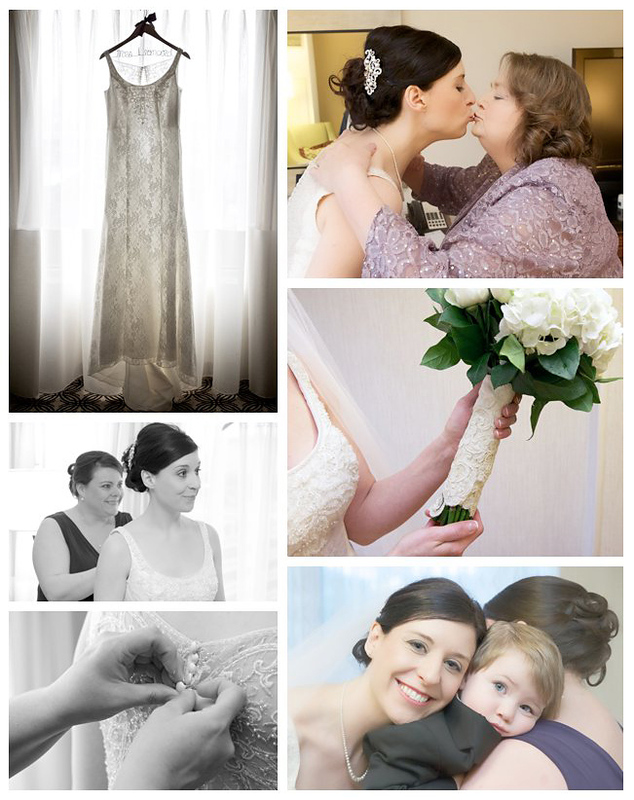 Surely one of the most fun-filled weddings I have photographed, starting with getting ready at the Quincy Marriott, during the ceremony at St. Agatha’s in Milton and right through until the last dance at The Neighborhood Club, there wasn’t one moment that didn’t exude Laura & John’s love for each other, and for their friends and family who joined them that day. Getting ready at the Quincy Marriott was a breeze for Laura. All smiles, no stress. She makes it look easy! 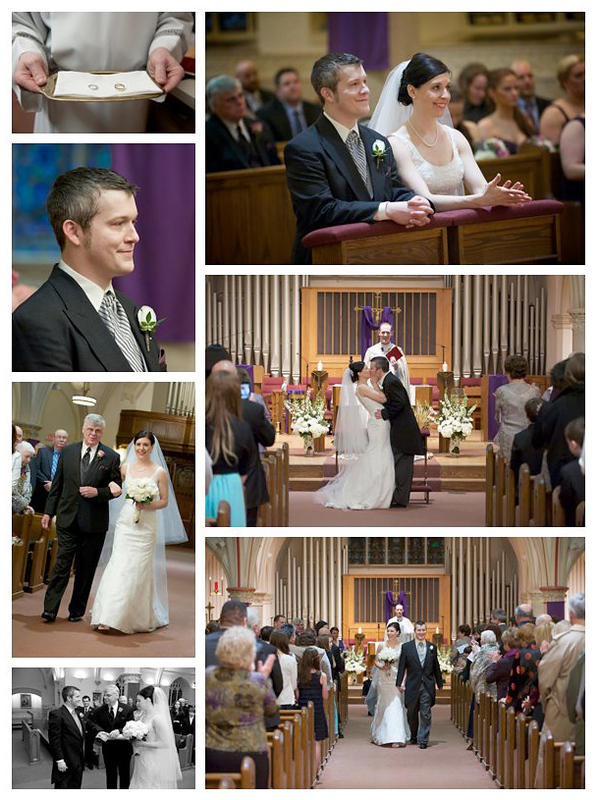 Laura & John’s wedding at St. Agatha’s was unique in that it was modernly steeped in tradition. A very cool priest, Rev. Murphy, let the day dictate itself instead of trying to run the show made for an easy-going, nicely flowing and worry free ceremony. 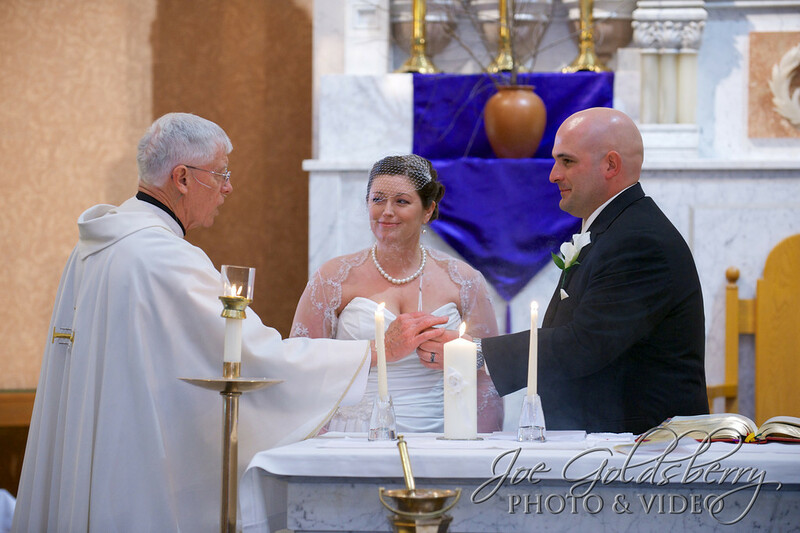 Laura & John’s wedding ceremony at St. Agatha’s, March 29, 2014. 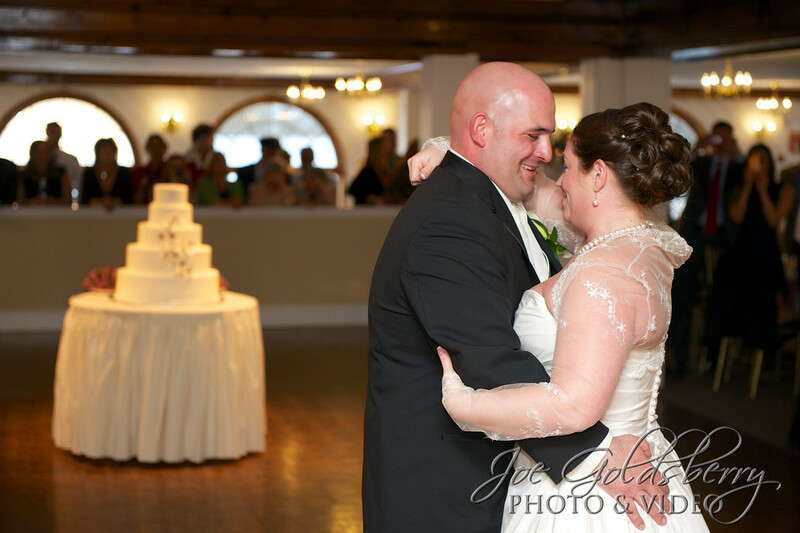 Laura & John choose a great venue for family and friends to gather for their reception. The Neighborhood Club helped to give them a wonderful night of great food, dancing and celebration that won’t be forgotten. Celebrating at The Neighborhood Club, no one could stay off the dance floor. Whitman, Massachusetts: Home of the Toll House Cookie. Yes, that is my little town’s claim to fame, and that iconic cookie, made famous by Ruth Wakefield and catapulted to fame by Nestle, just turned 75 years old. DJ Big Daddy Ray from RPE was on hand as the Master of Ceremonies, kept the flow throughout the night that brought it all together. It’s not a party until Big Daddy Ray is in the house. 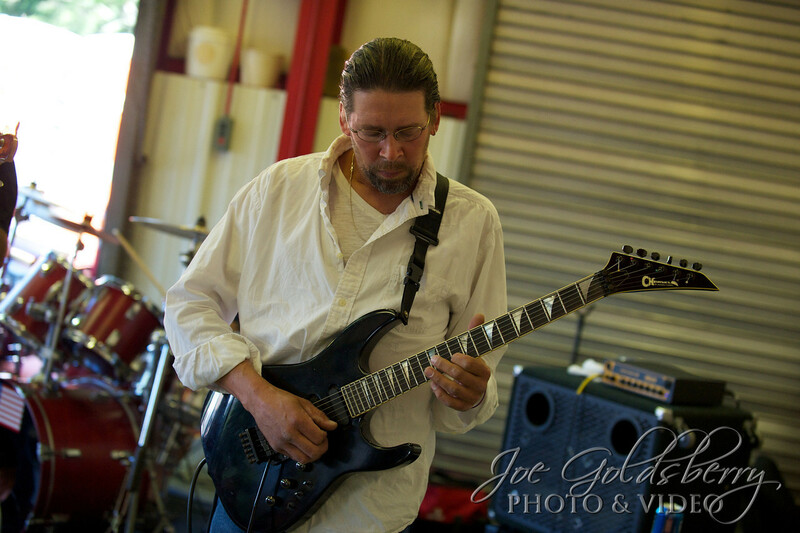 Big Daddy Ray from Rob Peters Entertainment was your Master of Ceremonies from the start until the last cookie crumb! Who could refuse a homemade Toll House Cookie? 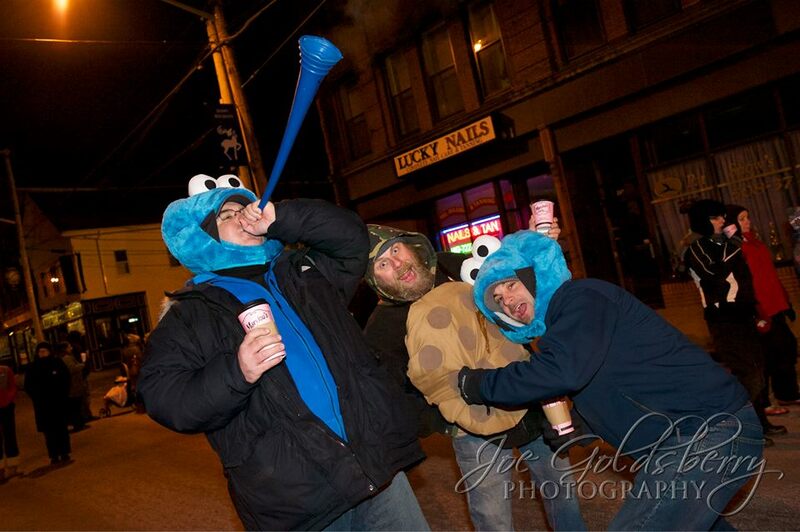 One moment in time that literally made my night… I witnessed Cookie Monster chasing a giant Toll House cookie down the street, clearly with intentions of also chasing a glass of milk if one happened by. But later in the night, there was this… and all was right in the world. “C” is for Cookie, that’s good enough for me… Cookie Monster is a lot nicer than you think. The big draw for the night was the music. 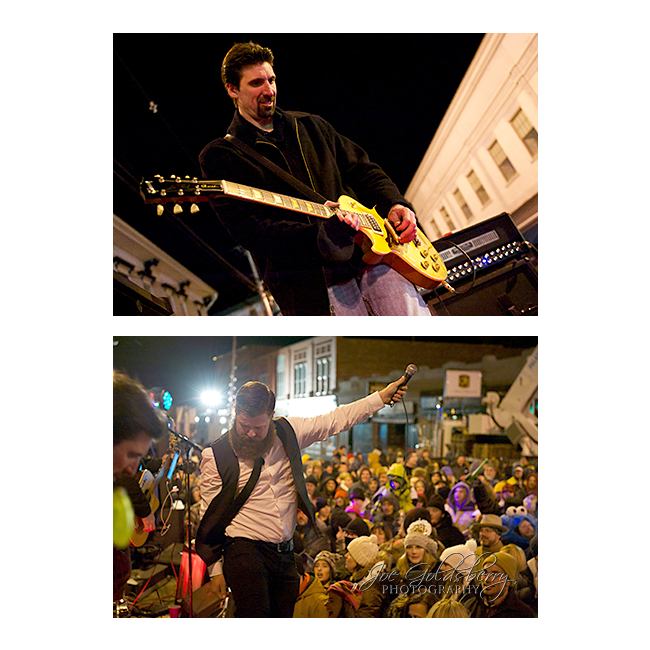 The bands kept the crowds dancing, which in turn kept them warm. These bands gave their all, and it was nice to see someone in the crowd named Mary hand over a pair of gloves to one of the singers. Baby, it (was) cold outside! 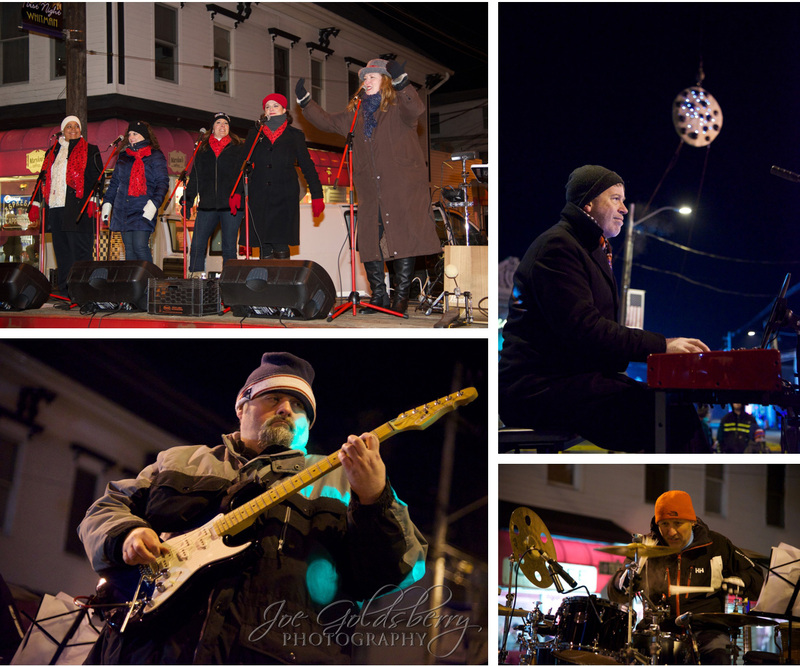 First band of the night at First Night Whitman to brave the cold with Mike Kostas and Kim Tomkinson… brrrrrrrrrrrr!!! 6 Foot Sunday literally brought the crowd into midnight, finishing up their cover of Sweet Child o’ Mine about 12 seconds before midnight (and the Toll House cookie drop). They did a “Linkin Park meets Skee Lo” cover of “I Wish” that should be at the top of the charts as we speak, and their unique take on “Airplanes” left the crowd pleading for more. 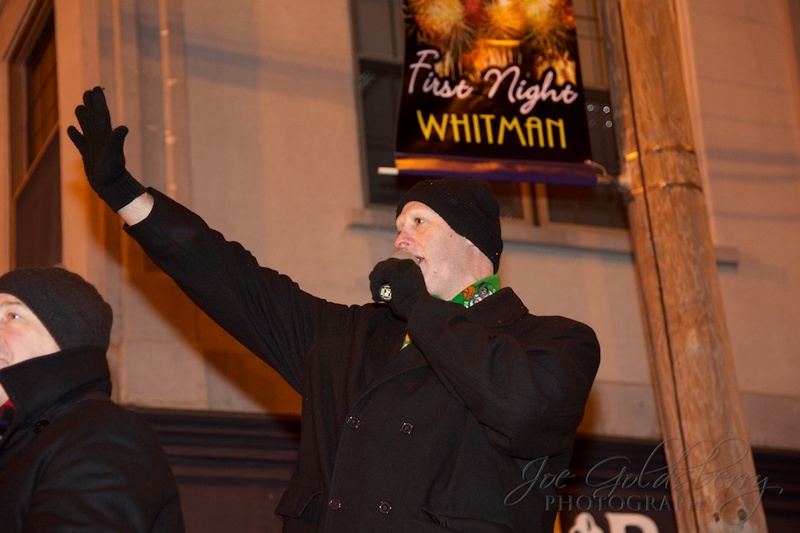 6 Foot Sunday rang in 2014 for the crowd at First Night Whitman. Finally (last but certainly not least) what’s a First Night celebration with pyrotechnics? You can’t drop a six-foot Toll House cookie at midnight without fireworks. 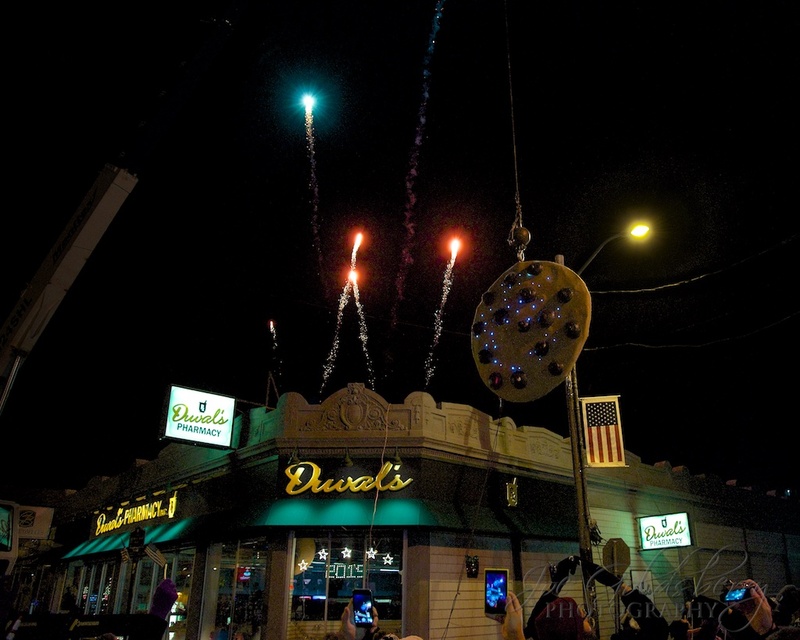 First Night Whitman ended with a bang… fireworks lit up the sky as the cookie dropped at midnight! Thanks to all who helped make this night happen… Nestle, Whitman Fire Dept, Whitman Police Dept, and The Whitman Winterfest Committee. This blog post is a little more personal than most, but we want to say we are very grateful to live in such a wonderful small town. Have a great 2014! Here’s to a happy and healthy 2014! Once again, we were very proud to be the official photographer for the annual Run for the Roses, this year held on Sunday September 15 at the Whitman VFW. If you are not familiar with this annual motorcycle run, now in its 5th year, it’s held in honor of Rachel and Lillian Rose Entwistle, a mom and her baby daughter who were victims of domestic violence at the hands of Rachel’s husband (Lillian’s father) Neil. 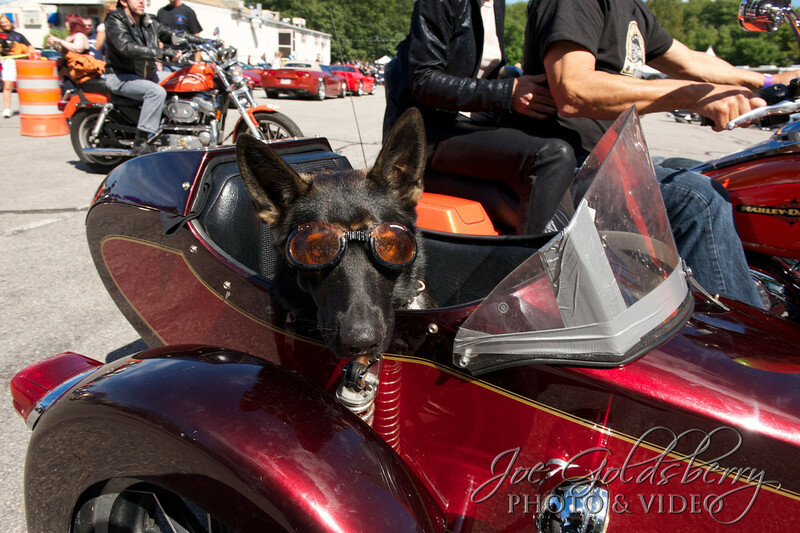 This motorcycle run started 5 years ago, on a rainy Sunday, with a small number of motorcycles, has become an annual event which this year topped over 800 motorcycles, as well as many classic cars. 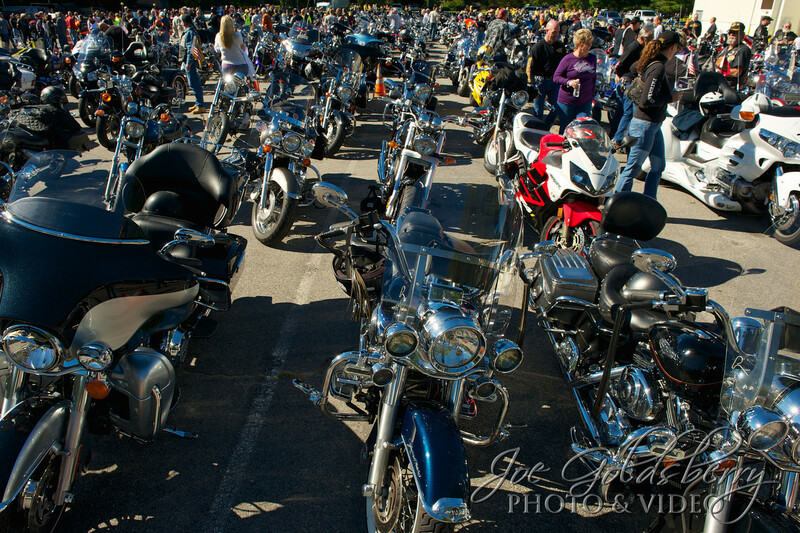 A sea of motorcycles wait at the Whitman VFW to begin the 5th annual Run for the Roses. It’s a day of “coming together for a common cause”. Men, women, old and young. All these people coming together is truly an amazing feat. Riders came from all over Massachusetts and from as far away as Florida. Run for the Roses brings riders from all over the state to Whitman, Mass. Who can resist a pup in goggles? 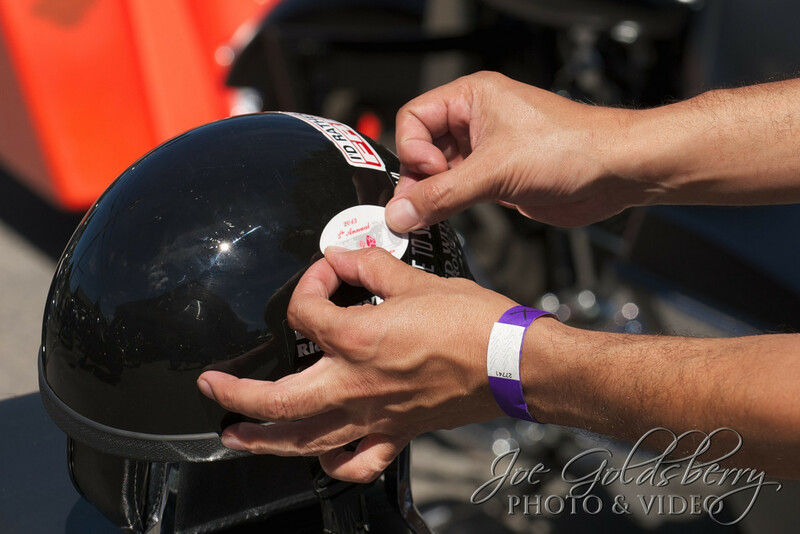 The official logo gets stuck on many helmets, because these rides are proud to support the fight against domestic violence. We saw lots of riders add the Run for the Roses logo sticker onto their helmets. Every year, the organizers arrange for great music and entertainment. This year they recruited the Mumblers to perform in the Whitman VFW pavilion to entertain the crowds. Great music is found at The Run for the Roses every year. You can almost smell the burgers cooking right through the blog. 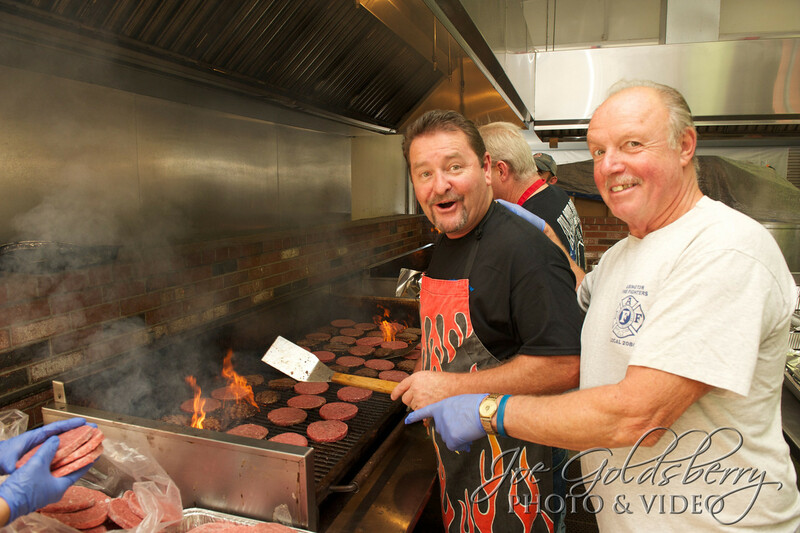 Every year, volunteers come out to cook up a storm. After all, these guys and gals work up an appetite! 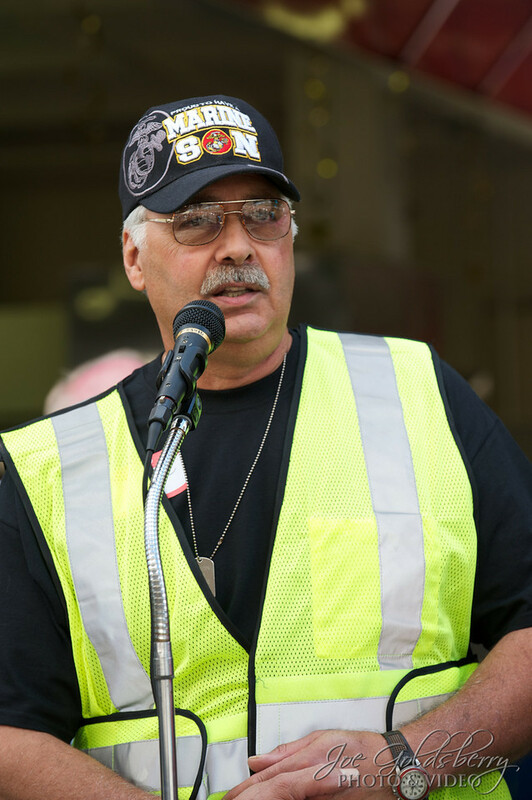 Run for the Roses is all about people coming out and volunteering their time and talent. Rachel’s dad (Lillian’s granddad) speaks every year to thank everyone for coming out. 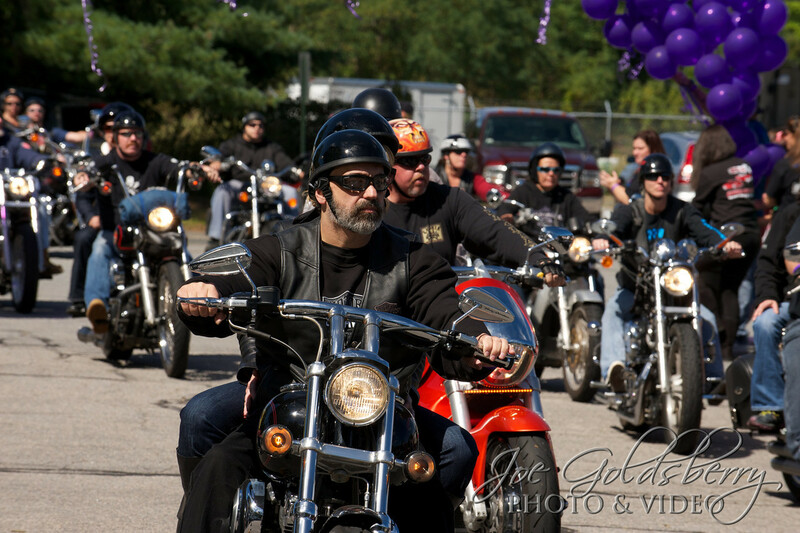 Every year sees a purple balloon release after all the bikes come back from the run. 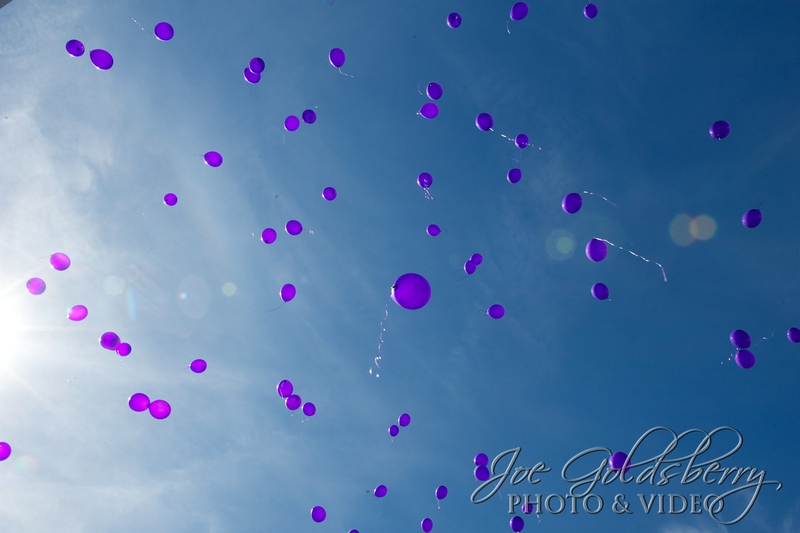 Purple balloons being sent up to Rachel and Lillian Rose. If you’ve never been to the Run for the Roses, or didn’t make it to this year’s event, “like” their FaceBook page to be sure you don’t miss next year’s event. You don’t even have to ride to come out and support this great cause. You can view all the photos from the 2013 Run for the Roses here. 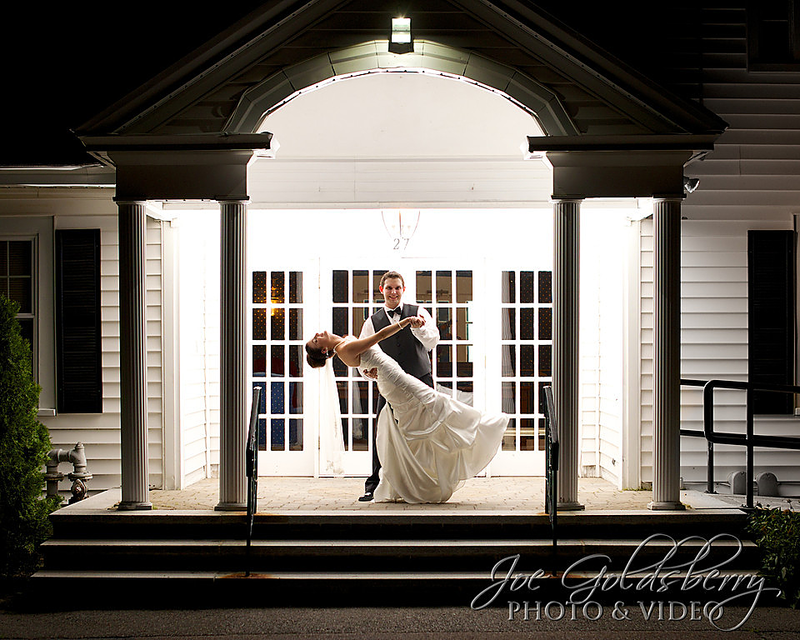 We photographed a wedding at Saphire Estate in Sharon, Mass. last month that could not possible have been more perfect. 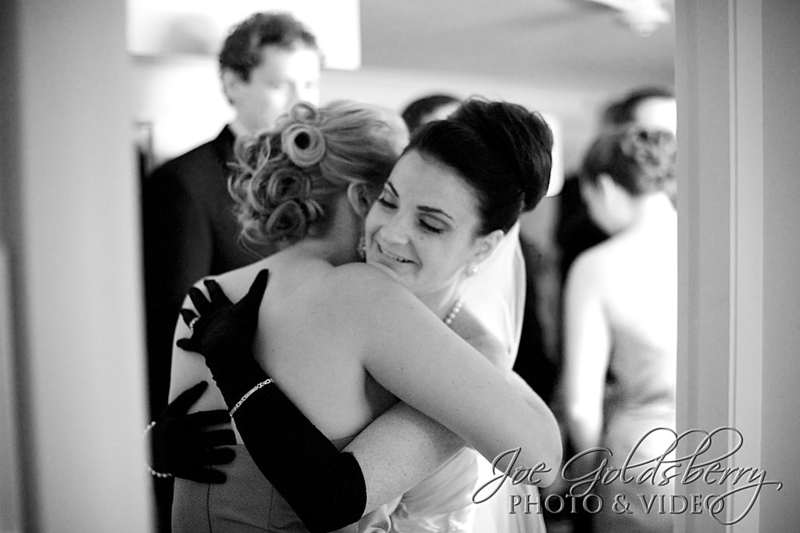 The bride, Jes, was an absolute joy to work with. 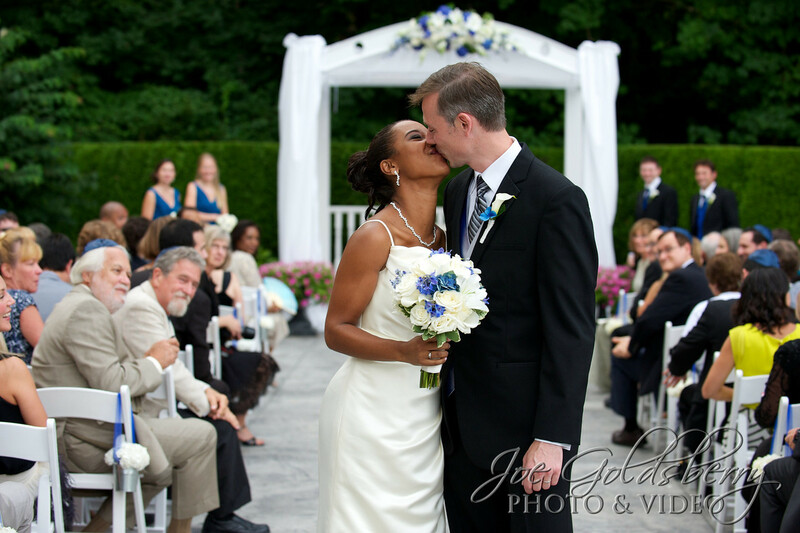 Her groom, Josh, was an equal pleasure to his bride, truly a match made in heaven. The friends, the family, the vendors, the venue, the sunset… this is why I love my job. 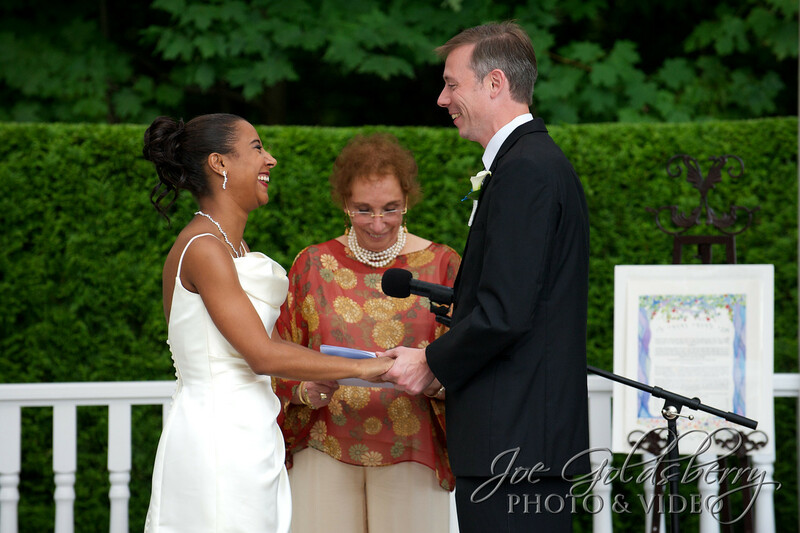 Outside Saphire Estate, the groom’s aunt officiated the ceremony for a special and personal touch. It was especially cool that the groom’s aunt, Hon. Beverly Weinger Boorstein, was officiating the ceremony. She was smooth and captivating, and had the guests mesmerized. 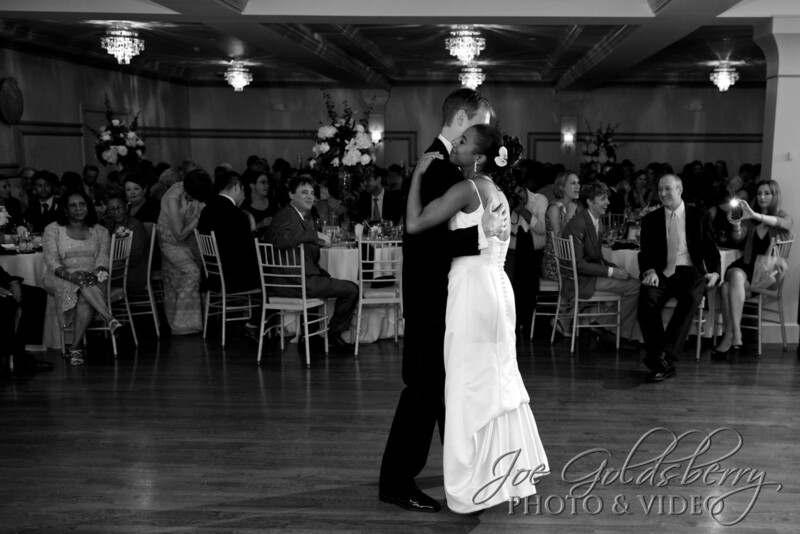 The first dance is possibly one of the most pivotal events of the night. 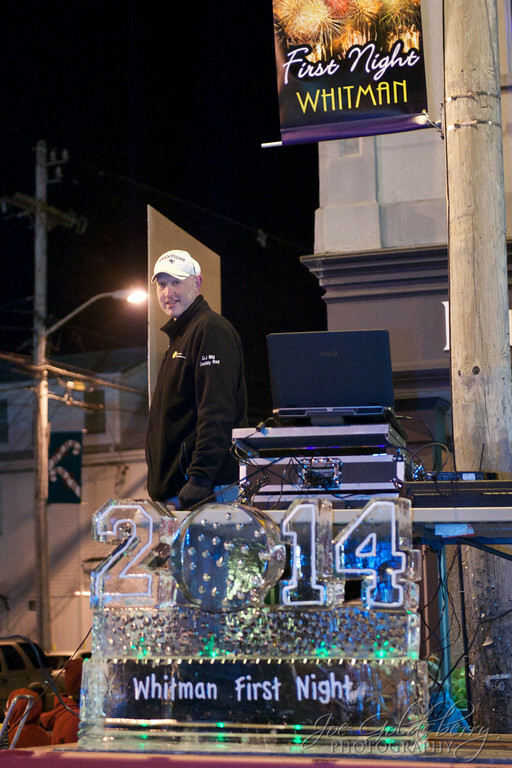 DJ Derek Holt from Entertainment Specialists was on hand to ensure that everything went as planned. 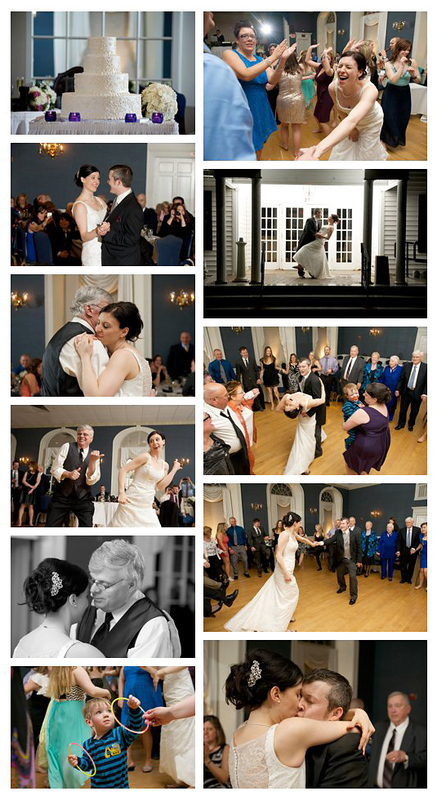 All eyes on the Saphire Estate dance floor are on Jes & Josh as they dance like no one is watching. The traditional parent dances took a unique turn when both couples, bride & dad and groom & mom, took to the floor together. 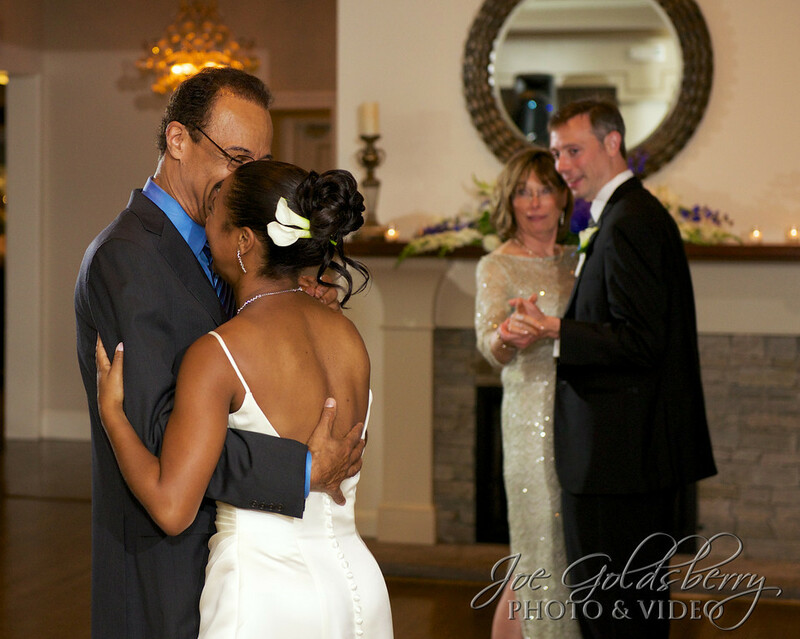 Jes & her dad, and Josh & his mom share the dance floor for the parent dance. The traditional dancing didn’t stop there. 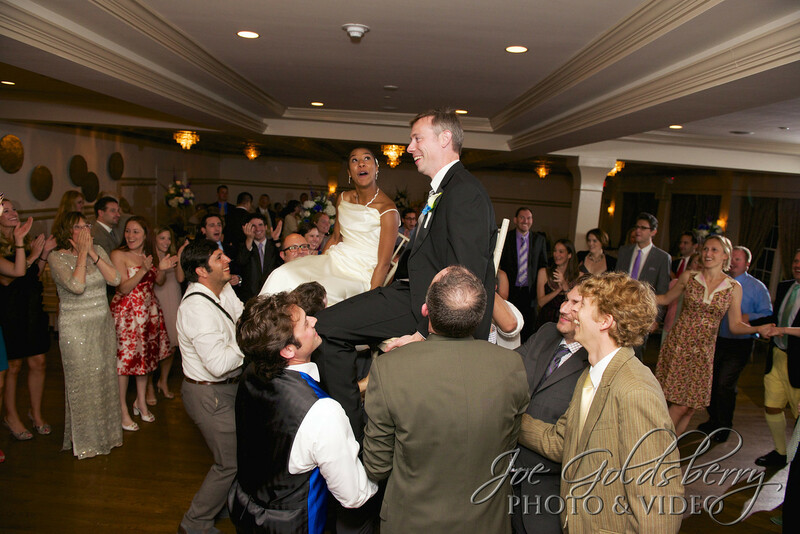 The night couldn’t be complete without a Hora. Watch that ceiling! 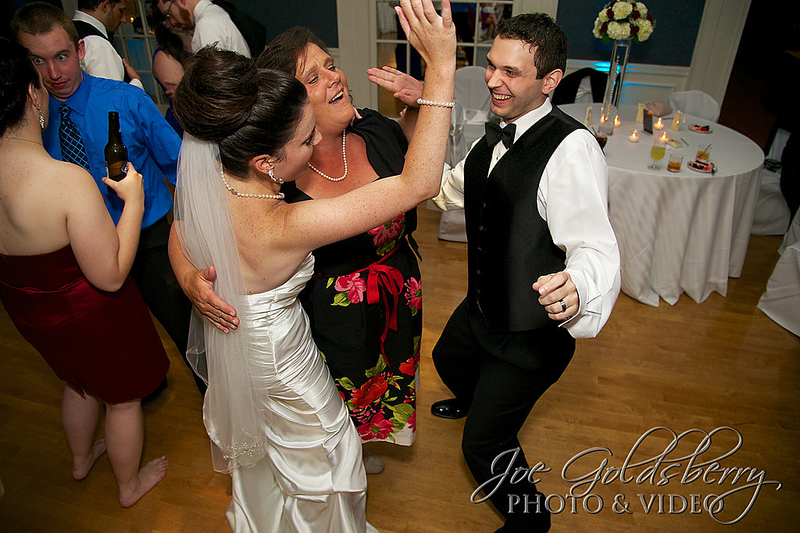 A Hora on the dance floor at Saphire Estate brings out the best dancers! A few moments stolen away from the crowd is treasured, because the day is over in the blink of an eye. 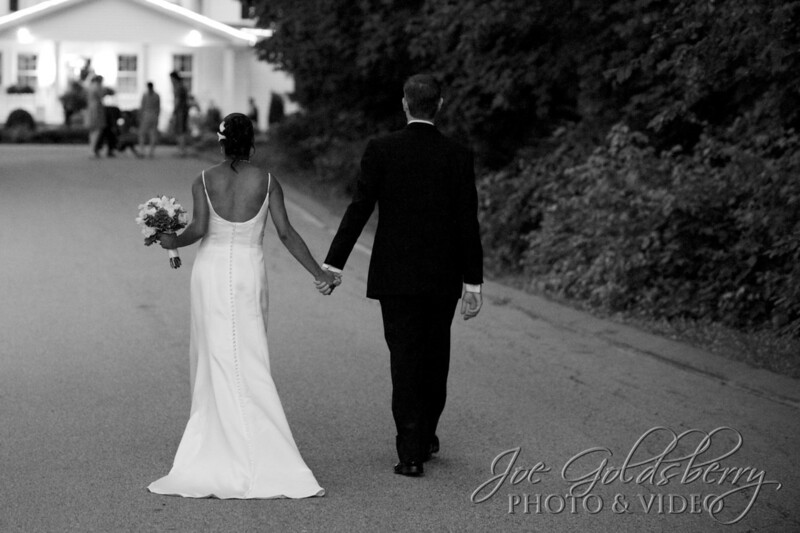 Jes & Josh, walking back toward Saphire Estate, after stealing a few moments alone. 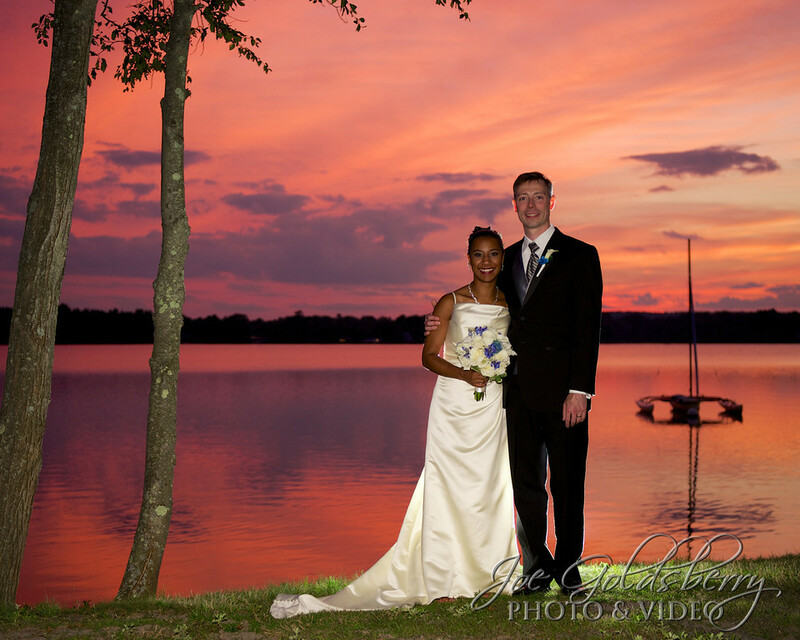 When you have a lake, an amazing sunset and a newly married couple, the next photo is a must. Sunset at the lake at Saphire Estate with Jes & Josh. 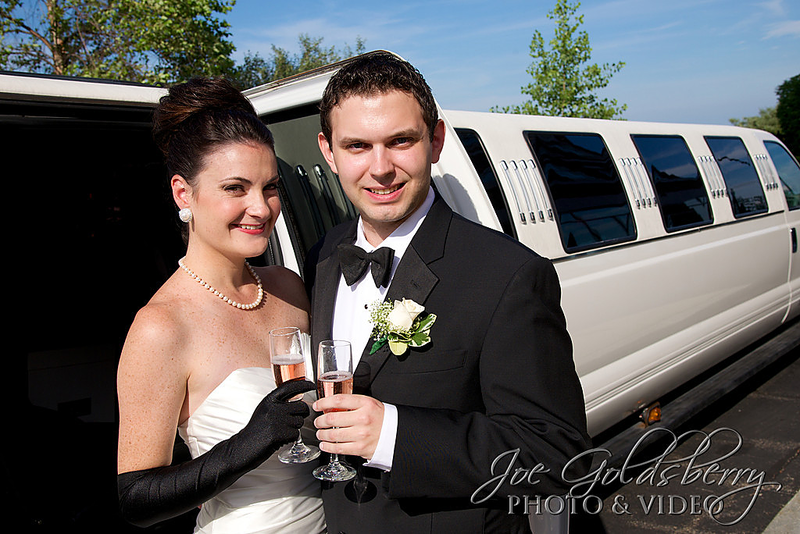 We’d like to thank Jes & Josh for trusting Photo & Video by Joe Goldsberry with their wedding photography. Congratulations, and best wishes for a happy & healthy life together! 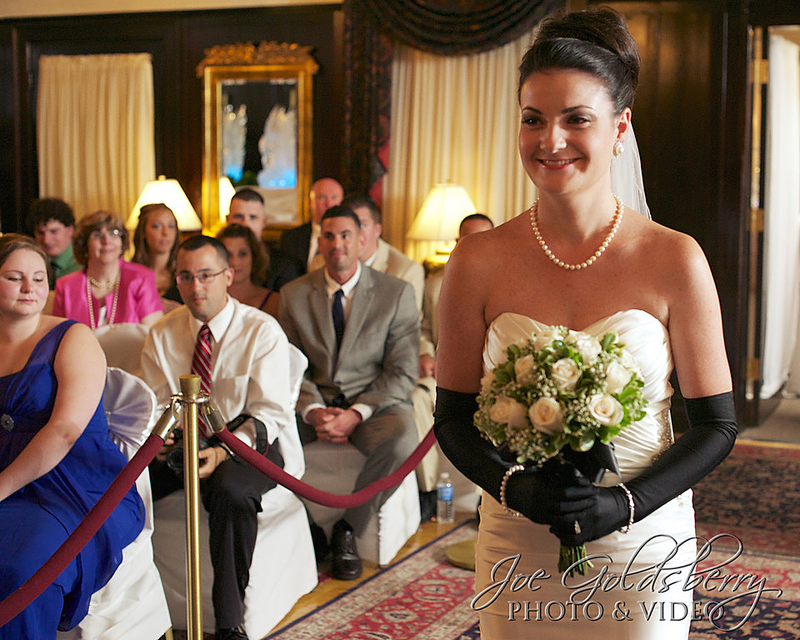 With all the crazy weather we’ve had this season, Jen & Cody got lucky on their wedding day. It was warm with some clouds, and the rain stayed away. 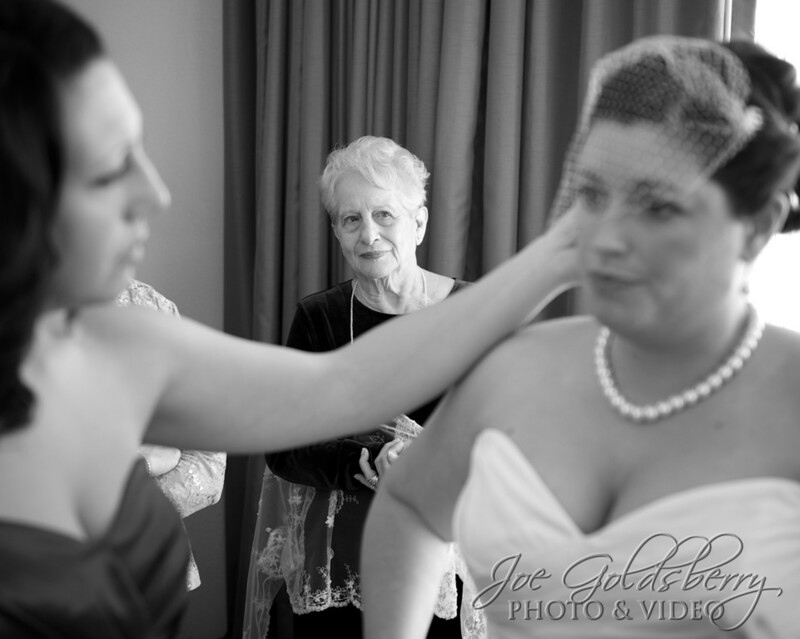 The alluring bride and her girls were getting ready at The Quincy Marriott, and so it was there Jen & Cody would also have their “first look”. 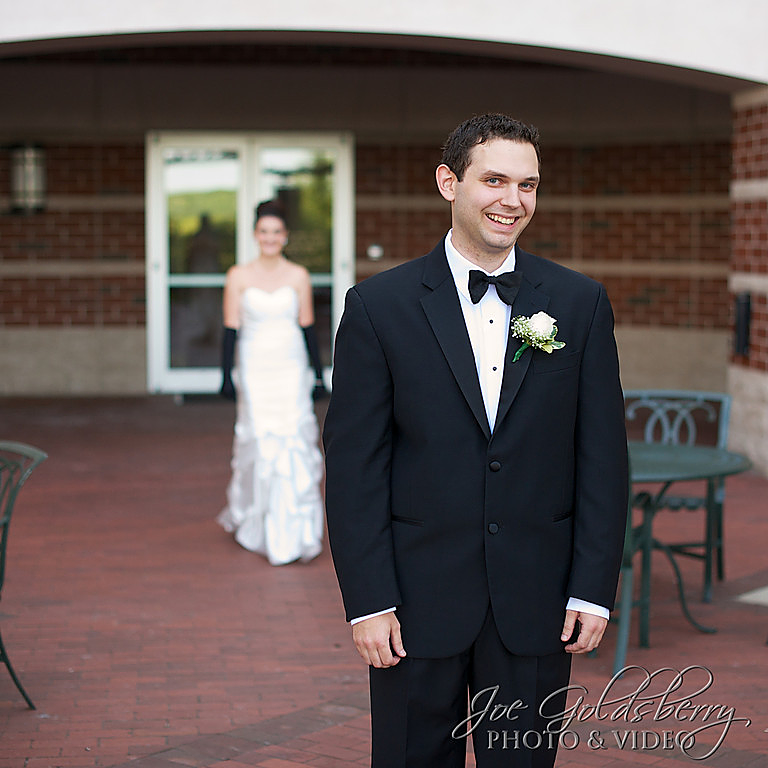 Jen & Cody: first look in the courtyard at Quincy Marriott. And once their eyes have met, the anxiety melts into a calm serenity that will set the mood for the rest of the day. A kiss for luck and we’re on our way… (We’ve only just begun). Jen & Cody’s wedding ceremony was nothing short of spectacular. One of Jen’s bridesmaids, Julia, doubled as their officiant. The colors were amazing, the smiles were stunning and the words they spoke were both personal and winsome. Jen walks down the aisle to meet Cody to exchange vows. 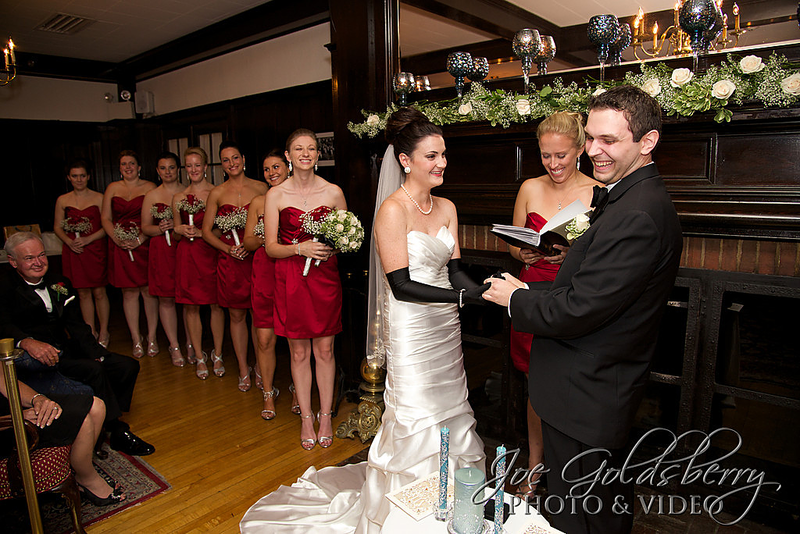 Once everyone was in place, Julia was by her friends, upfront and center, to help them exchange the vows that will change their lives forever in a few short moments. Now it’s official, and it’s just about time to celebrate! They’ve made their promises to each other, and that’s cause for celebration! There’s always time for an extra hug, a well wish, a moment to reflect. Always take that extra moment to stop and hug the ones you love. Jen & Cody had Epic Entertainment on hand to take over the Master of Ceremonies and entertainment for the evening. Bring in the wedding party, and start the fête! DJ Sheldon Gentles announces everyone into the room to get this party started. First things first, and that’s the first dance. A wedding day is full of “firsts” and traditions, and Jen & Cody did not leave out the tradition of the wedding cake. The wedding cake dates back to ancient Rome, and generally symbolizes good luck to and for the new couple. Jen & Cody’s wedding cake, by White’s Bakery, fits the bill. 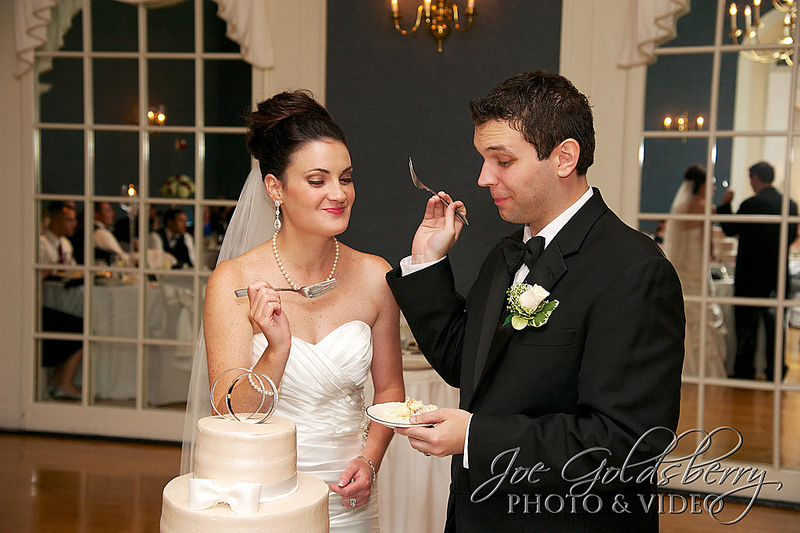 Jen & Cody’s wedding cake, made by White’s Bakery, was an obvious hit, by the looks on their faces. (Well don’t skip romance because) you’re old enough to dance the night away… Dance, dance, dance the night away…. As the night winded down, we knew what a great wedding we had on our hands (and in our cameras). You, the reader, may or may not know Jen & Cody personally, but we think you’ll feel like you know them after reading their wedding blog post. A wonderful, fun couple who have a lifetime together ahead of them, we wish them well as they endeavor into married life. Saying good night with a dip at the entrance to The Neighborhood Club! We’d like to take you on a photographic journey of a wedding that took place just over a week ago. 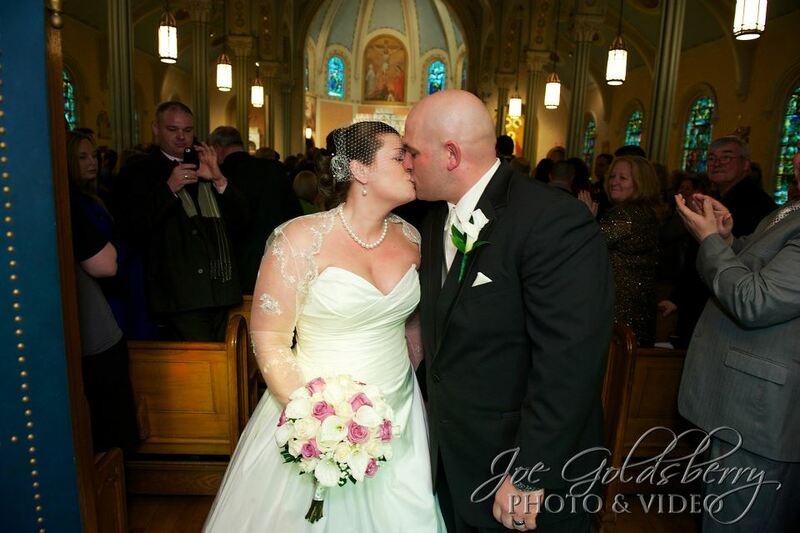 Leah & Eric were married by Father Hickey at Holy Family Church in Rockland, and continued the celebration with family and friends at The Pembroke Country Club. The stage was set: a beautiful bride, a handsome groom… A wedding party filled with family and friends and overflowing with smiles and tears. There were tears of joy for the coming together of two beautiful people and their families, and there were tears of sorrow for those who could not be with them in body, but were surely there in spirit, to offer Leah & Eric their blessings from beyond. Above all, love each other deeply. 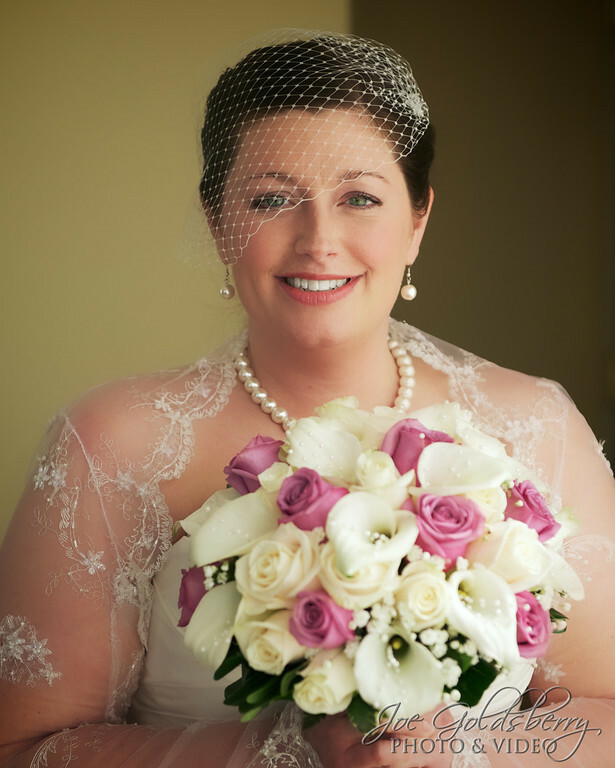 Leah makes a stunning bride. Bouquet by Barry’s Flowers. 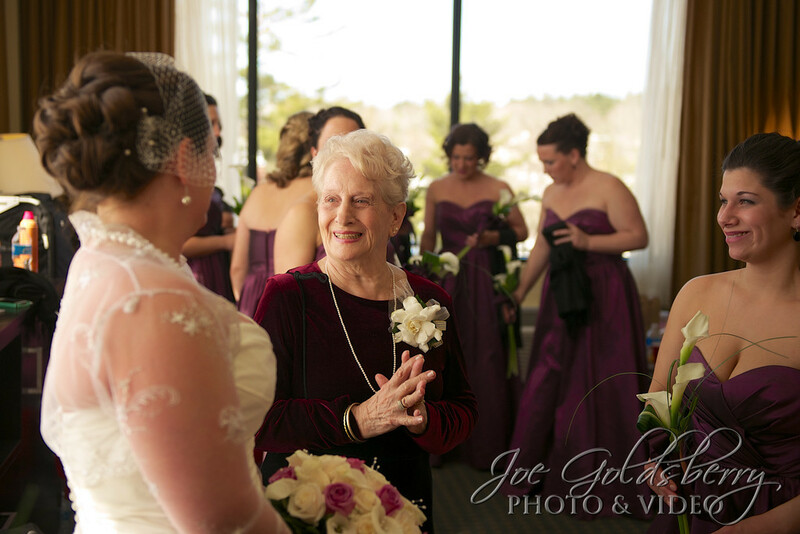 This wedding couldn’t get underway without some smiles and advice from the bride’s grandmother. Leah clearly gets her smile from her grandmother, as they both light up the room. Leah’s grandmother overlooks and silently gives her blessing. The bride always get first dibs on the blog, being mentioned and showcased first. That’s just how it goes. But we had a groom, as well, and the groom had plenty of support. 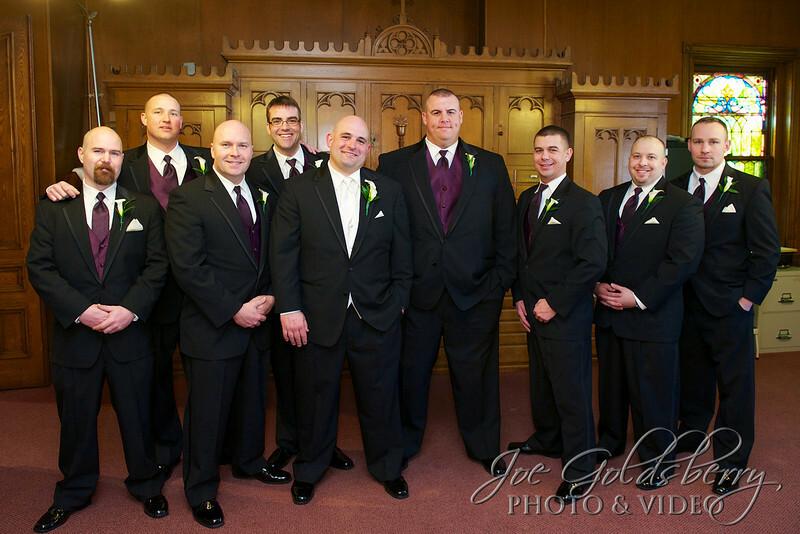 Eric and his groomsmen at Holy Family Church, Rockland. 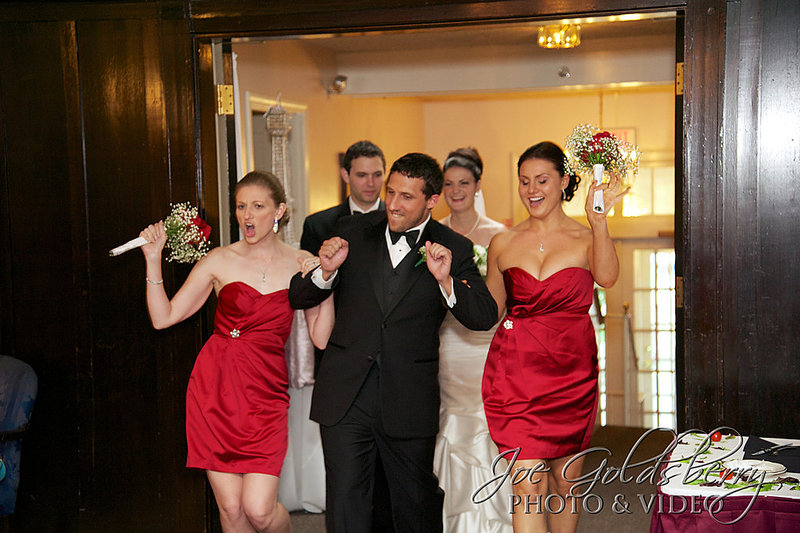 A grand entrance was made by all, including the youngest of the wedding party. Lucky guy, or lucky girls? You decide. 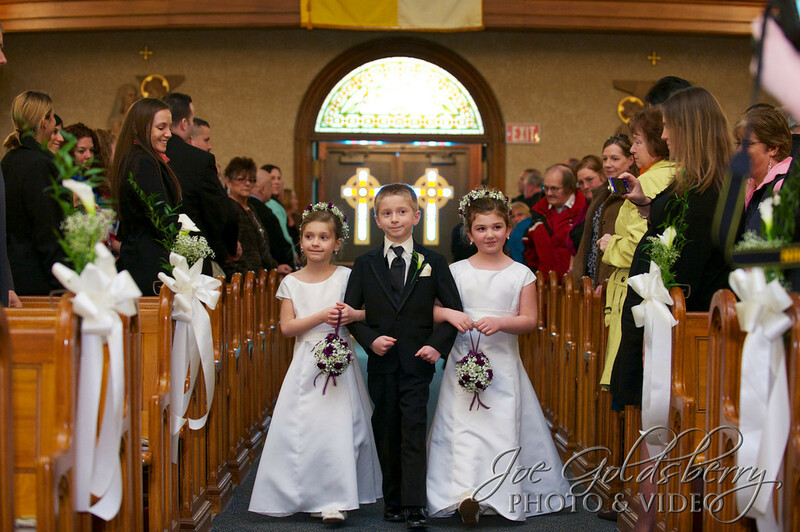 The Junior Usher is escorted by two lovely Flower Girls. As the ceremony gets underway, Leah and Eric follow the lead of Father Hickey on their journey of becoming man and wife. Leah, Eric and Father Hickey are the center of attention, as family and friends look on. Smiles, laughs, and stolen moments, unknowingly captured and frozen in time. 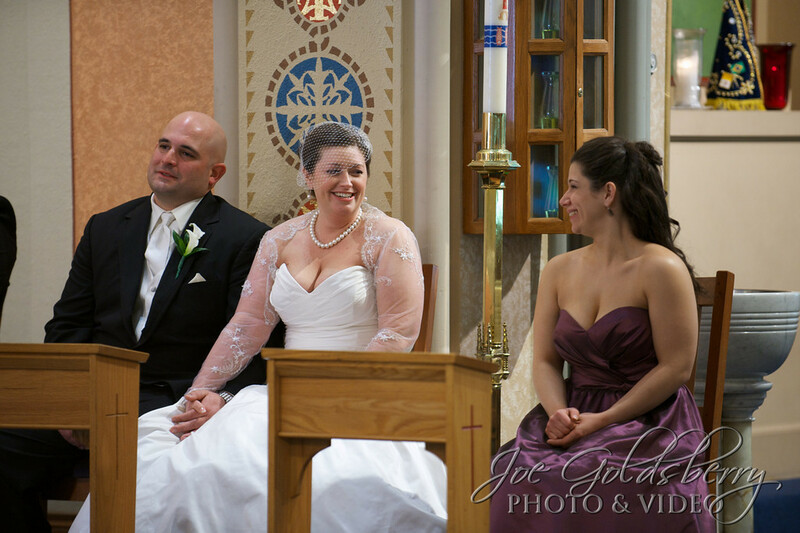 Taking a break during communion to smile and relax. Once it’s official, it’s official forever! Two lives, one moment… a lifetime ahead. 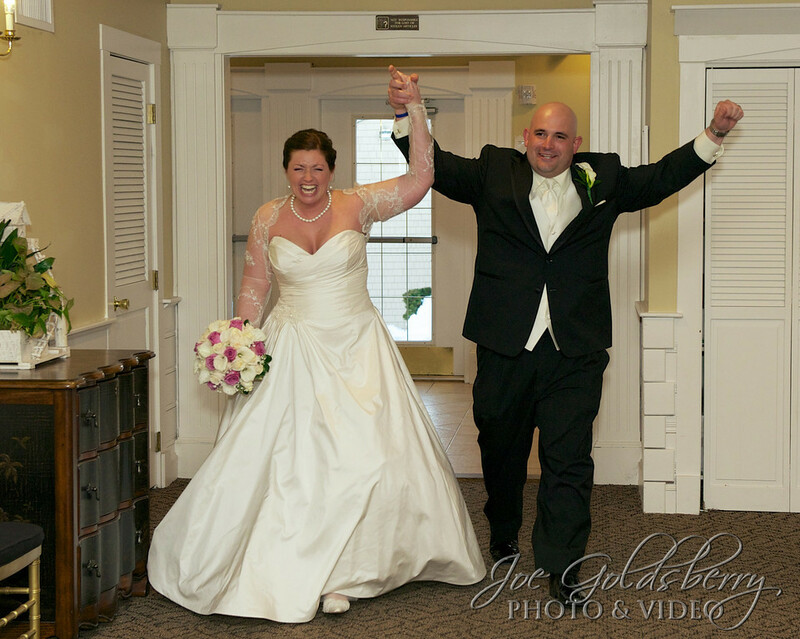 It was on to the Pembroke Country Club, where, announcing for the first time ever, as husband and wife… well, you know the rest! 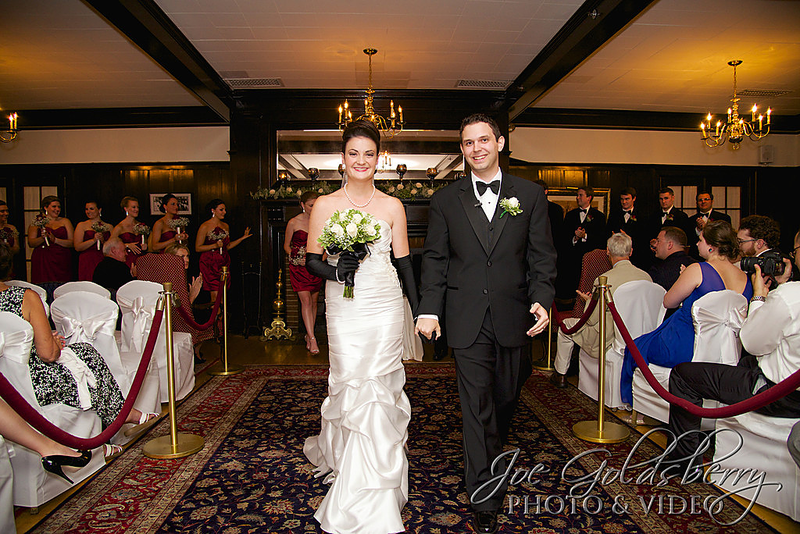 Mr. and Mrs. Eric Machado made their grand entrance into The Pembroke Country Club. 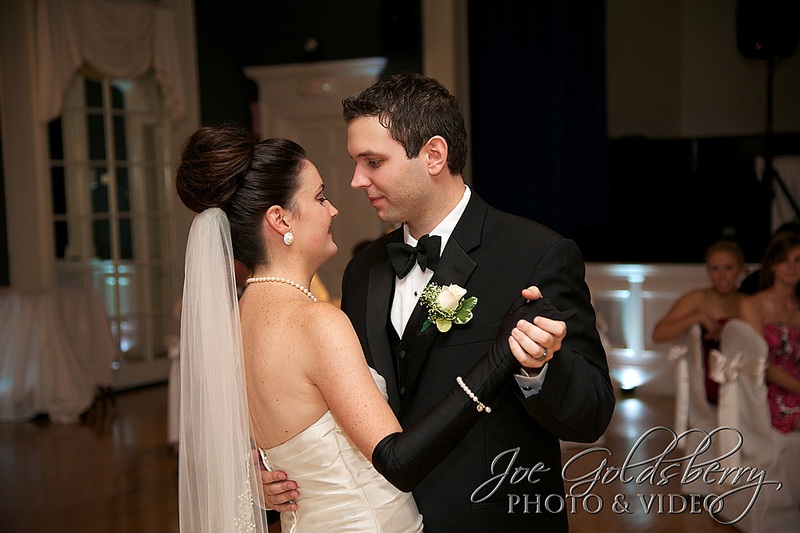 The first dance tradition was not lost on Leah and Eric. These two were in a world of their own, yet surrounded by family and friends. Congratulations, Leah & Eric. Here’s to a lifetime of happiness! Leah & Eric’s first dance for the rest of their lives. A wedding party who knew how to party!